With a new season of The 100 set to premiere soon, here is a preview for the season based on the first two episodes. Prepare to be excited! You know what they say, "the candle that burns twice as bright burns half as long." We have to agree. What television couples do you wish had more buildup? The 100 giving us our favorite Griffin ladies with the most adorable scenes is a bright highlight on the show that continues to give us hope. 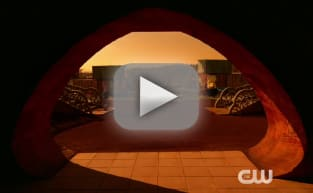 The 100 Season 6 Theories and Trailer Breakdown: New Planet, New Problems? With The 100 Season 6 trailer finally released, the theories are out in full force about what fans might have to look forward to and we are breaking it all down wildly. With The 100 Season 6 premiere just around the corner, we finally have a glimpse at Sanctum and what it has in store for all our favorites! The 100 is set nearly a century after nuclear Armageddon has destroyed Earth. The drama centers on those who are forced to head back to the planet and determine if it can be lived on again.